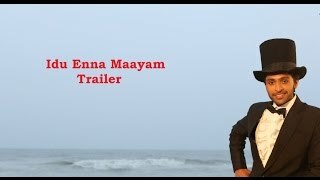 Watch the trailer of Idu Enna Maayam in Vijay's direction starring Vikram Prabhu & Keerthi Suresh in lead roles. With music by G.V. Prakash Kumar, the film is a perfect mix of what everybody wants - romance, comedy, action & sentiments.